Have you met students who have more free time than you and still get good grades? Highly efficient students study smarter, not longer. Using study tips can optimize your study time. But what works for one student may not work for another. Research and experiment with different college study tips to narrow down strategies that work well for you. Discovering the benefits of study skills can be liberating. Study tips help you excel academically while enjoying everything college has to offer. Every student wants to know, "What is the best way to study?" Generally, students do best when they break their work down into manageable portions. Cramming for a test may have worked in high school, but college is different. Competition is fierce at an elite school where everybody expects to be an A student. Text books are intentionally designed to stress the most important concepts, so pay close attention to introductions, headings and chapter summaries. If you like to highlight, don’t get carried away. Avoid mindlessly highlighting every other paragraph. Pay close attention to the first test you take in each class. Noticing whether your professor tests more on lecture, class discussion or reading assignments may help you hone in on what you need to study. Some professors like to quiz students on small details while other professors are more interested in big picture thinking. Determination is key to enhancing study skills. Many individuals have a preferred way of learning and retaining information through their senses. Ask other students what study skills they find helpful. Once you have a general idea of what might also work for you, start experimenting. Be mindful of your attention span. Note what helps you focus and what distracts your concentration. Practice using your newfound study skills and modify as needed. Consider taking a first year seminar class that helps students build study skills. Some counseling centers and tutoring centers offer workshops and individual assistance related to improving study skills. You may also want to ask instructors or your academic adviser for tips. For example, your anatomy instructor may know lots of creative ways to memorize the skeletal system. If you are the kind of student who learns better by listening to lectures than reading textbooks, you may learn best through receiving information with your sense of hearing. Learn more about study tips for audio learners. For instance, many audio learners enjoy listening to audio books. If allowed by your professor, it could be helpful to record lectures and replay them later. If not, you may find it useful to read your notes out loud after class. As a study aid, you could record yourself reading formulas, names of historical figures or other vital information likely to be on a test. Identify a place where you can read your homework assignments out loud. 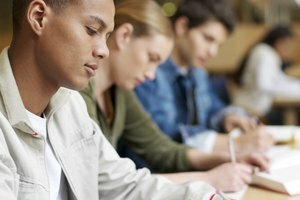 Study with other audio learners and quiz each other on the material. Some students learn best by reading information and seeing illustrations. If you like to read but drift off in a big lecture room, you may be a visual learner. Try using study aids that help you receive information through your sense of sight. Study tips for visual learners include paying attention to the headings and subheadings of chapters, highlighting main ideas and definitions, outlining the chapter and looking up unfamiliar terms. Many visual learners also like to create maps, charts and diagrams. While reading a subject like history, visual learners may enjoy visualizing what is being described, such as the signing of the Constitution. You may be asking yourself, “How can I make studying fun?” If you get bored easily when studying, consider forming or joining a study group. Getting together with classmates can keep you from feeling sorry for yourself for being in a library cubicle instead of chilling with friends. When studying in a group, predict questions that may be on a test and quiz each other. Have a bag of M&Ms handy and reward each correct answer with an M&M. Make a pact to stay on task for an hour, and then enjoy a planned activity together like watching a movie. Studying doesn’t have to be a passive activity. One of the best ways to reinforce your own learning is to teach someone else. Consider volunteering as a study tutor or apply to be a lab assistant. Being a student is practically a full-time job. Professors warn students at orientation that they should plan on studying one to two hours for every hour spent sitting in the classroom. For example, a three credit class typically meets three times a week for approximately one hour. That that means you will need to study up to six hours outside class to keep you with the material in each of your three-credit classes. If you are taking a full load of 15 credits, you may study up to 30 hours per week. Leaving all your studying for the weekend is a very bad idea. Practically speaking, you may end up spending more hours on some classes and fewer hours on others, depending on your interests, natural ability and prior learning. If you also belong to student organizations and work part-time, you will need to be very creative about finding study time. Set a goal for how many hours you want to set aside for studying each week. Then decide when and where to study. Instead of just sitting around between classes, use that time to study. Review lecture notes and formulas while waiting for a bus or standing in a long, slow moving cafeteria line. 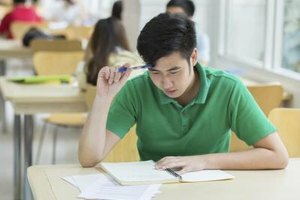 Like many students you may be grappling with the question of how can I study hard with full concentration? Nothing is more frustrating than reading a page of text only to realize that you don’t have a clue what you just read. Comprehension requires focus and immersion to digest the meaning and validity of the material. College study tips include stopping after every few paragraphs to write a brief sentence summary and critique of what you just read. Another technique is to briefly summarize out loud the main ideas. Or you may find it helpful to briefly outline the chapter as you read along. When your mind wanders off, gently pull your attention back to the material. Concentration is further enhanced by analyzing when and where you find it easiest to learn. Some people are naturally better at memorization. Nonetheless, anybody can improve memorization skills with the help of shortcuts. First, you must focus and understand the information. Raise your hand and ask questions if a concept confuses you. The brain has difficulty moving vague ideas from short-term to long-term memory. Pay attention in class and take notes. Then read your notes right after class to help commit the ideas to memory. Mnemonic techniques can help you quickly cluster concepts together. For instance, remember the phrase “kings prefer coin over figs, goats and sheep” to recall the order of kingdom, phylum, class, order, family, genus and species. Mnemonic devices work because the odds of recalling information improve when new ideas build on prior learning and associations. As much as possible, relate subjects you are studying to your everyday life or belief system. Consider how recently acquired facts and insights deepen your understanding or broaden your perspective. Write key facts or dates on flashcards to help you remember on test day. Taking breaks helps tremendously, especially if you must catch up on studying. No matter how hard you push yourself, your brain will go offline if you don’t pause periodically. Taking five to 10 minute breaks every hour can recharge you. Use your breaks to relax, enjoy a healthy snack, do yoga stretches, text a friend or check sports scores. When reading books or perusing journals that seem painfully dull, ask yourself why the author apparently found the subject riveting. Many disciplines become more interesting as you delve deeper into the field. Your reading assignments may even lead you to a different major. You will get more out of your education if you don’t procrastinate until the last minute. Use a planner or online calendar to balance study time with less sedentary activities like running, biking or working out. If you are able to get audio versions of your textbooks, try listening with headphones while riding on a stationary bicycle to relieve boredom. You need a battle plan to conquer your academic workload. Make sure your planner or online calendar is complete and up-to-date. During your first week of the term, you should go through each course syllabus and enter the dates of upcoming exams, and add due dates of assignments on a calendar. Resist the compulsion to randomly open a textbook when you sit down to study. Know what’s coming up in the next few days so you don’t bomb a test because you weren’t prepared. Prioritize your work. Most students find that it works better to work on least favorite subjects first when concentration is sharpest. Intentionally deciding the order of doing assignments applies the Premack principle, which you may have studied in high school psychology. The Premack principal states that aversion to disliked activities may decrease if followed immediately by more enjoyable activities. Simply stated, you may feel less negative about calculus homework if you consistently reward yourself with a more enjoyable activity after finishing your computations. As a starting point, reflect back on where you usually studied in high school. Did you prefer the quiet of your room, or were you used to little brothers and sisters screeching in the background? Did barking dogs annoy you or could you easily tune them out? Next, compare the rigor of your college courses with the subjects you took in high school. Consider whether you may need to make some changes if your homework will require intense concentration. Be realistic about how much you can absorb if you plan to read your textbooks in your dorm room. The distraction of booming stereos, people laughing in the hallway and your roommate’s snoring can impede your ability to focus. 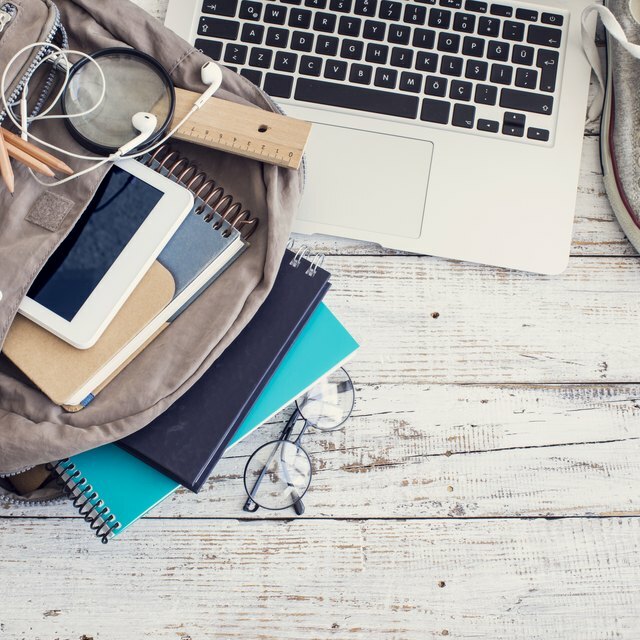 Noise cancelling headphones or ear plugs should be on every student’s packing list. Explore quiet nooks and crannies on campus and in nearby coffee shops that may offer a comfy option. Because you are conditioned to get up in the morning and go to school, studying during daylight hours may be easiest. If you are an early riser, it may work well to study right after breakfast. On the other hand, you may be a night owl capable of cracking the books late at night. Experiment with what seems to work best for you. Notice if your energy levels follow a predictable pattern or rising and falling each day around the same time. You can concentrate better and get more done when you feel wide awake. You will focus better by studying one subject for awhile and then switching to another. Even interesting material may lose its appeal if you study for hours at a time. Mary, Dr.. "About Study Tips." Synonym, https://classroom.synonym.com/about-study-tips-13714935.html. 18 September 2018.